A great way to get a bunch of students involved. A great game that involves many students, and the rest are more than entertained just to watch. Who doesn’t want a smoothie created out of absurd ingredients anyway. Lots and Lots of Ingredients. We are talking normal ingredients like: bananas, strawberries, blueberries, raisins and kale, as well as weird ingredients like: broccoli, brussel sprouts, cheez-its, jelly beans, Oreos and candy corn. Don’t forget the liquids: apple juice, fruit punch, and chocolate milk. Blenders (x3). Just borrow some from some of your leaders so you don’t have to buy them…unless you have a weird obsession with blenders. Plain Yogurt. This is going to be the base of every smoothie to keep the consistency constant. Ice. Again to keep it cold and consistent constancy. 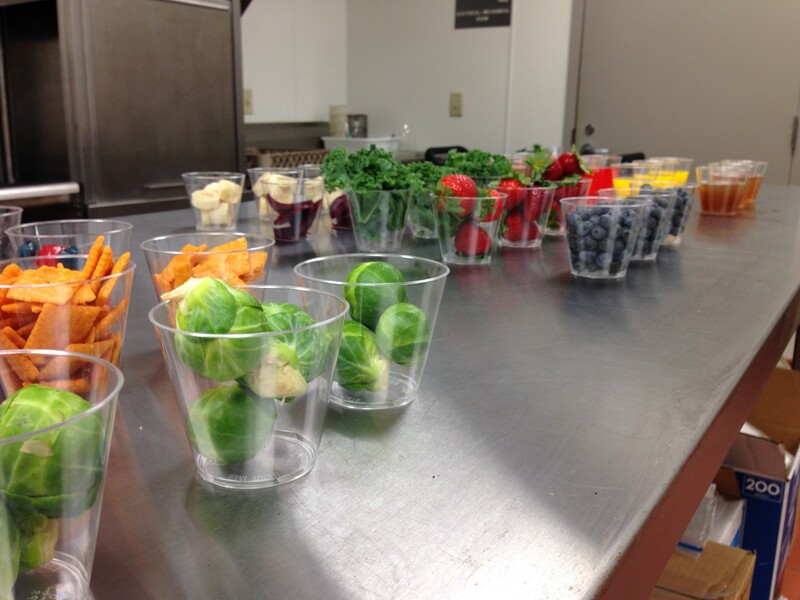 Assemble all your ingredients in portion control cups. You will want to make sure no contestant takes a whole bunch of something and not enough of something else. This will also help them to make their smoothie faster. This is a game that you can start, and then play another game, and eventually come back to this. Pick your smoothie chefs. 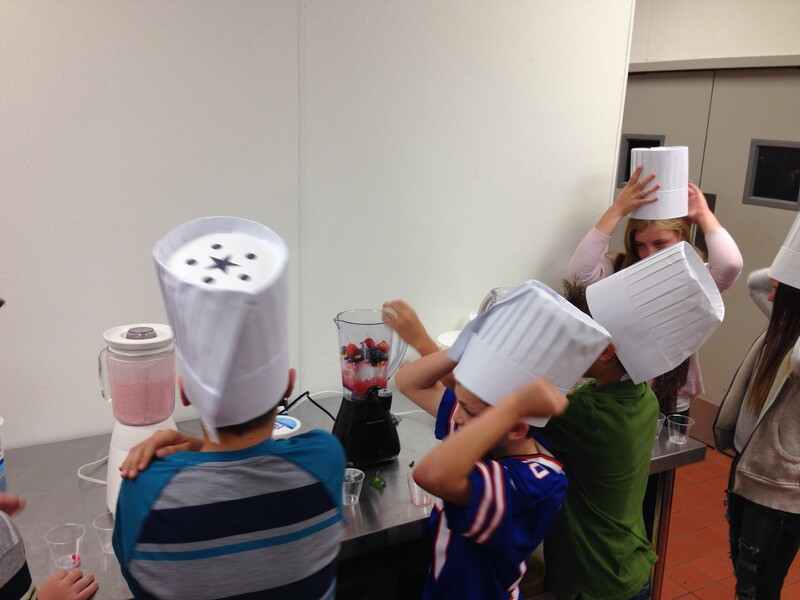 Give them a sweet paper chef hat to make them look legit and explain the rules. They have to pick two normal ingredients, two weird ingredients and one beverage. They have 10 minutes to make their smoothie and they must come up with a name for their smoothie. Send them away to the kitchen or somewhere to make their smoothie. Have a leader or two there to help them. Each smoothie starts with a base of ice and yogurt. While they are off making their smoothies, this is your time to play a different game with your students. When you’re done with the other game call back your chefs. 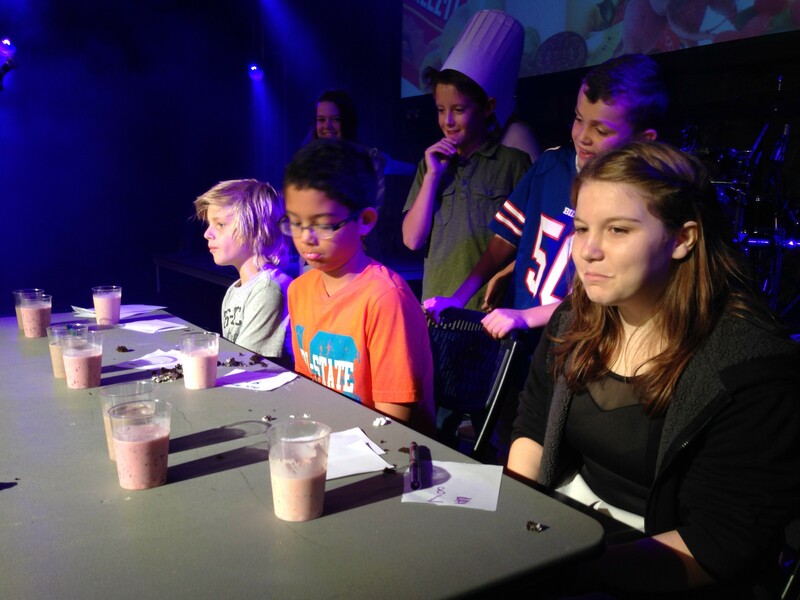 Separate each contestants smoothie into three different cups for sampling. Bring up three new students who will be your judges. They will have to judge each smoothie based upon three factors: the name of the smoothie, appearance, and taste. Each factor is judged out of 10 and added up for a final score. So a smoothie can get a 5 in name, 7 in appearance, and 2 in taste, leaving a total score of 14. 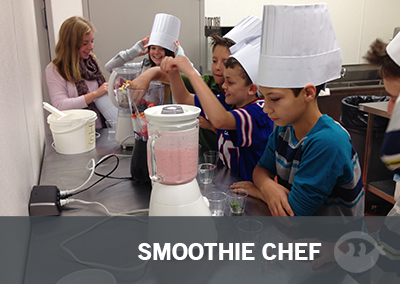 Have each student present the name of the smoothie, and next let each judge taste it. After they are tasting it and have judged it, you can allow the student to explain what ingredients he/she used to make their master piece. Tally up all your scores and find out who the winner of the ultimate smoothie challenge is!